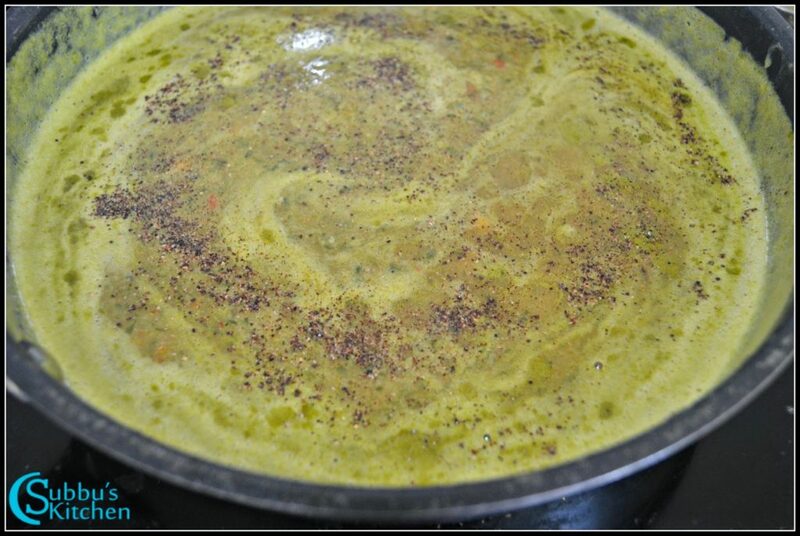 This is one of my favourite soup. 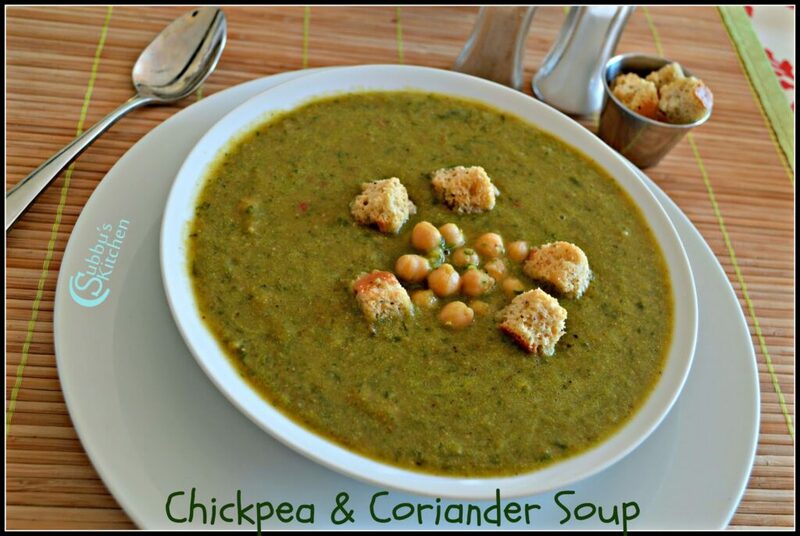 ChickPeas with Coriander leaves gives a nice flavour to the soup. 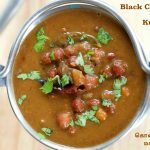 Though this soup has Mexican flavour, it is not too hot and spicy but the presence of the chilli does give it a nice taste, and the flavour and texture of chickpeas is perfect for soup. 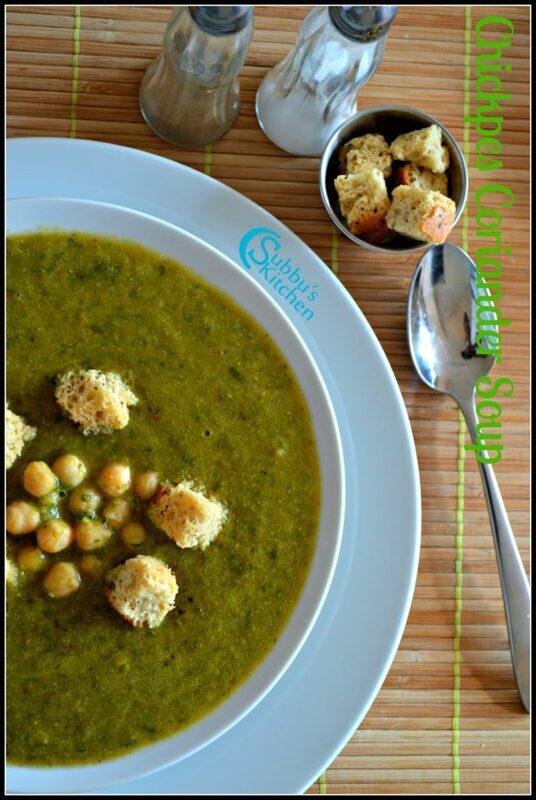 Serve this yummy Chick Peas and Coriander soup with Bread croutons and enjoy! I have used store bought chickpeas which I have drained the salt water and rinsed twice. As I have used the store bought canned chick peas, I have used vegetable stock. We can also use the dry chickpeas. 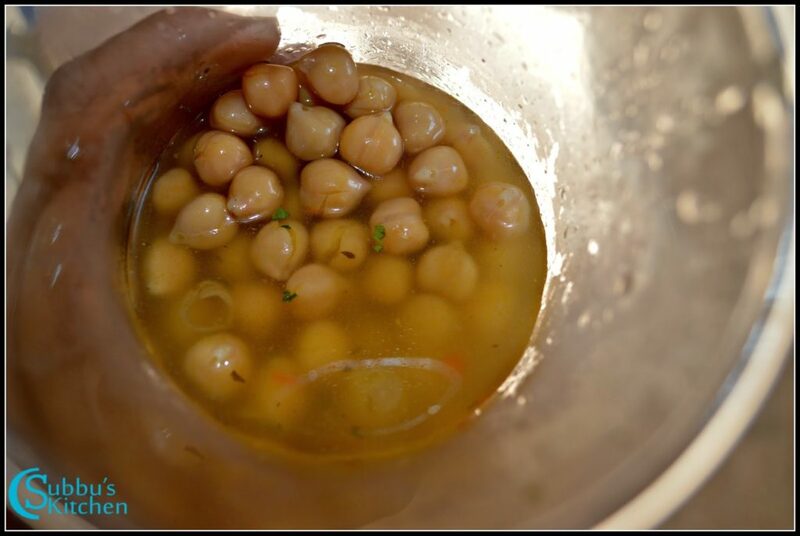 Rinse the dry chickpeas and soak it water overnight and we can cook with 2-3 cups of water in pressure cooker till the chickpeas is soft and tender. 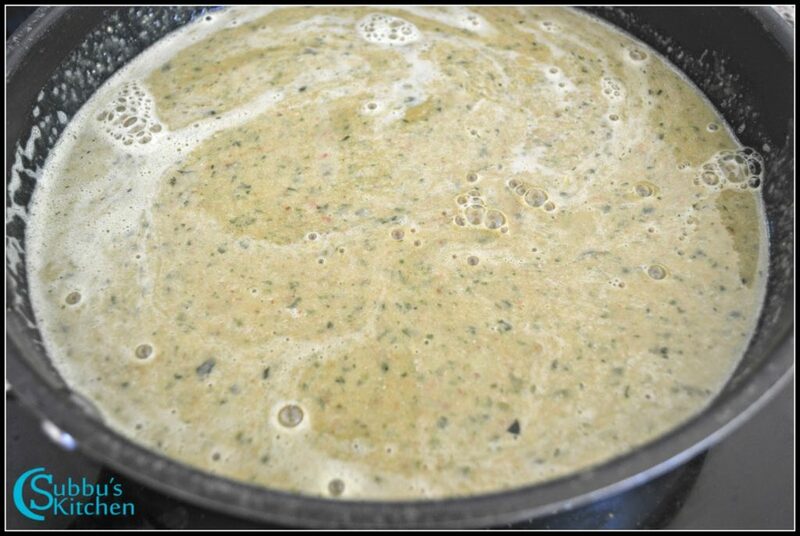 We can use the water used for cooking the chickpeas for the soup. Canned chickpeas are now available and it would definitely ease the whole process. 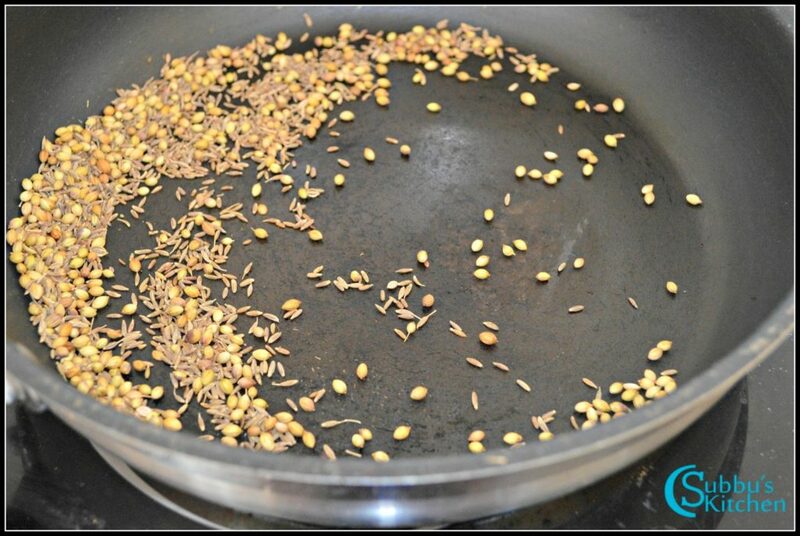 Heat a pan and dry fry the coriander seeds and cumin seeds for a couple of minutes. 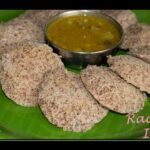 Cool the fried ingredients and grind it to a coarse powder. 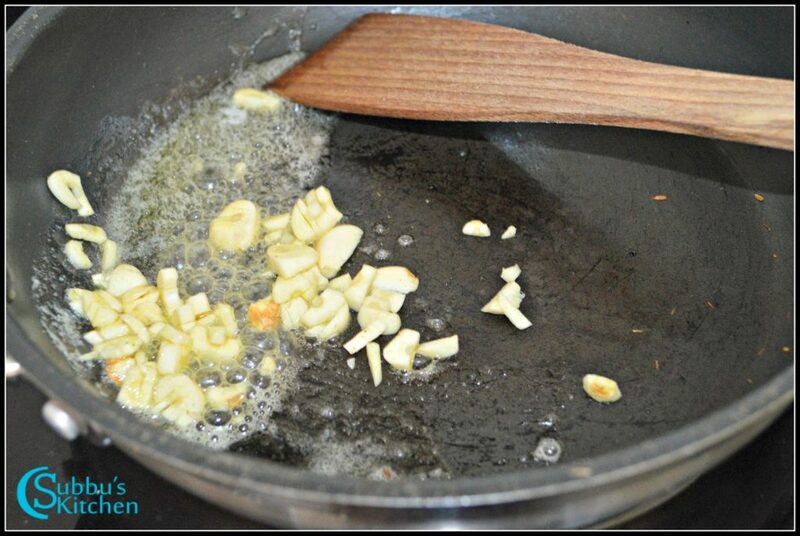 Heat butter in a pan and add chopped garlic and saute it for 2-3 minutes. 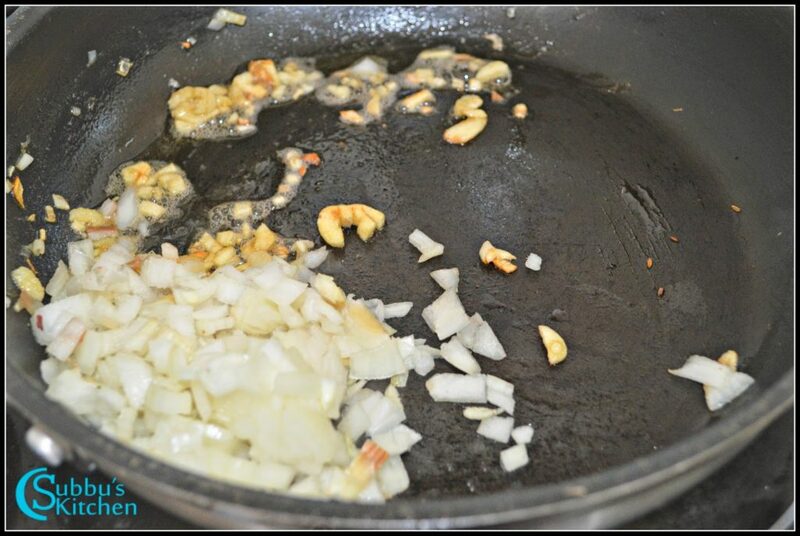 Then add finely chopped onions along with a pinch of salt and saute them till they turn translucent. 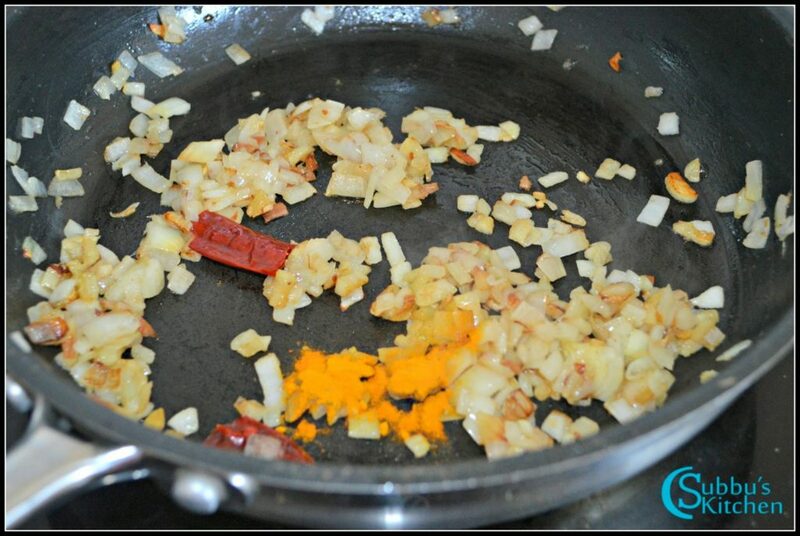 Now add turmeric powder, broken red chilli and ground spice to the pan. 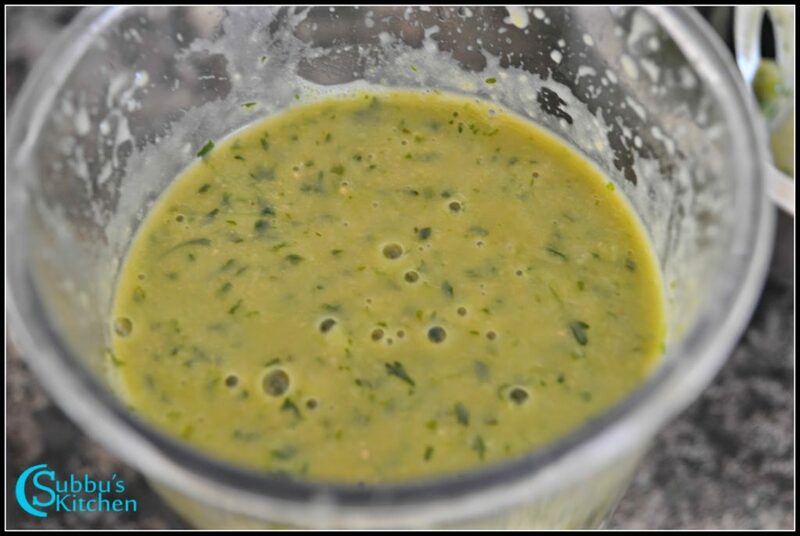 Grind it to a nice paste by adding 1/2 cup of vegetable stock or cooked chick peas water. 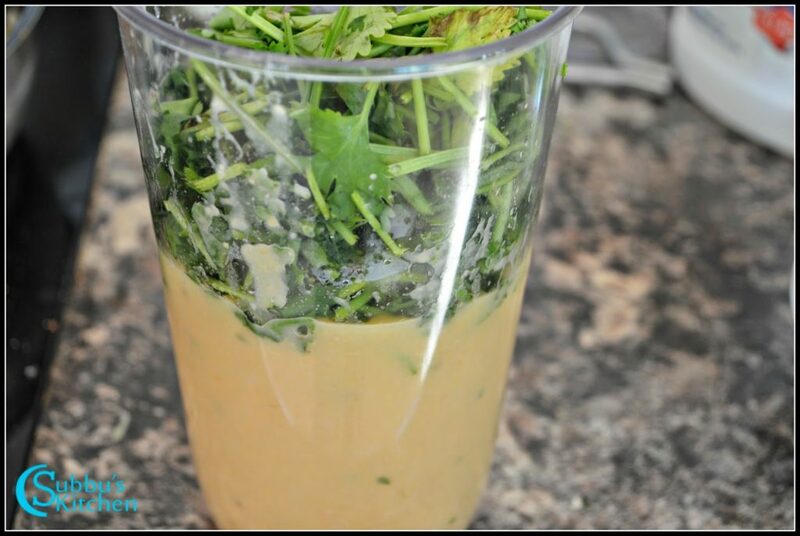 Add the coriander leaves with the stalk to the mixer. Grind it to a nice paste in the blender. 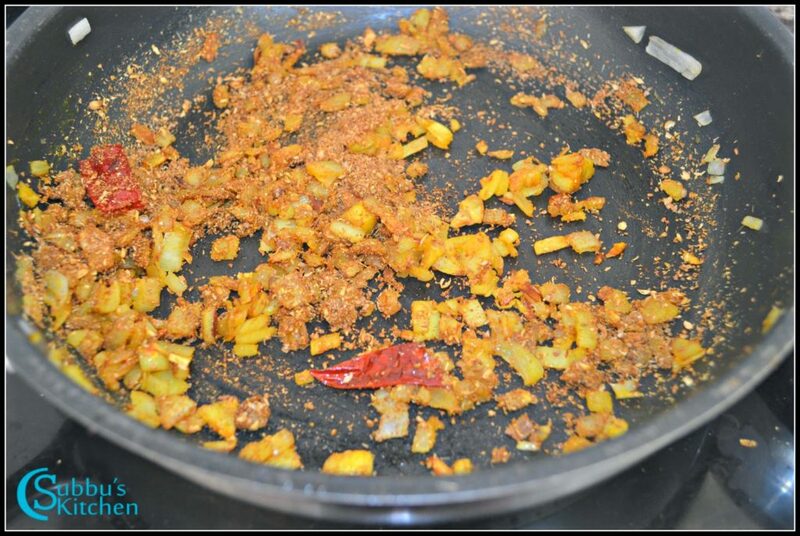 Finally add the onion-spice mixture and give another pulse so that they are nicely mixed and smooth and nice. 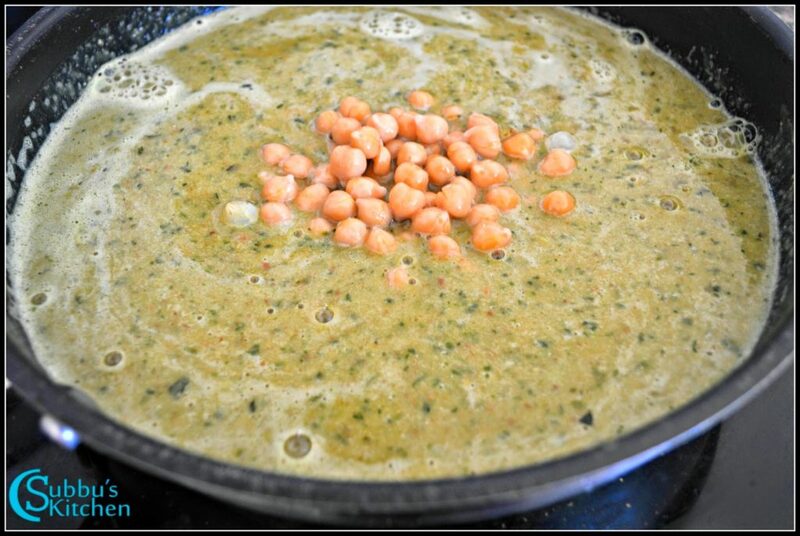 Now clean the pan and the ground chickpeas and coriander paste to the the pan along with the remaining vegetable stock and start stirring it in low flame slowly bringing it to boil. Do not allow the soup to boil too much. Add the reserved chick peas to the pan along with freshly ground pepper and salt and stir once and keep in low flame occasionally stirring and keep in flame for about 10 minutes. 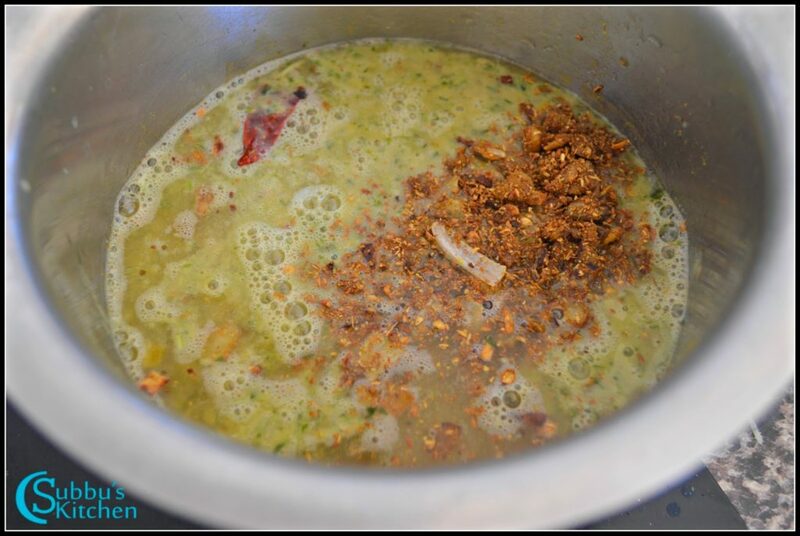 Finally add lemon juice and remove the soup from flame. 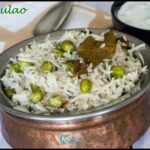 Garnish with chopped coriander leaves and ground pepper. 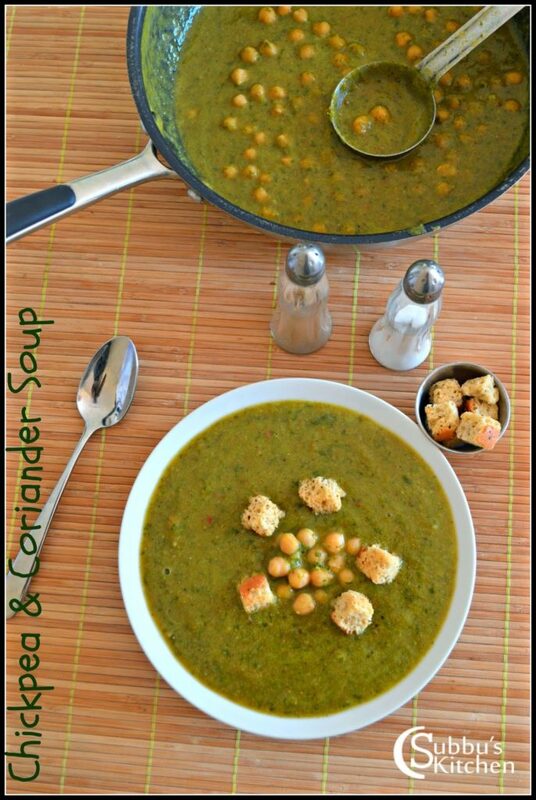 Serve the yummy ChickPeas and Coriander Soup with bread croutons and slurp!